Mobile application mania is flooded with the highly innovative apps for various smart phone OS; frankly speaking you won’t find shortage of mobile apps for any mobile brand exists in the market. But for staying on the top and being informed on the hot comings in the market is nearly a Sisyphean task. One can manage to be updated on the recent happening and innovation in the global market though bunch of tools and tricks, another way could be to poke around on the smart phone users to see what they have downloaded and try to get their reviews on the same. These days marketplace is also poured with high intelligence and there are features which has the ability to list the most downloaded free or paid tools and apps and along with it they also provide reviews and star rating. Another user friendly and a very useful tool, but often overlooked support is provided by the apps themselves. Yes you heard it right, dramatic growth of new smart phones has given birth to new software genre; the apps for finding apps. 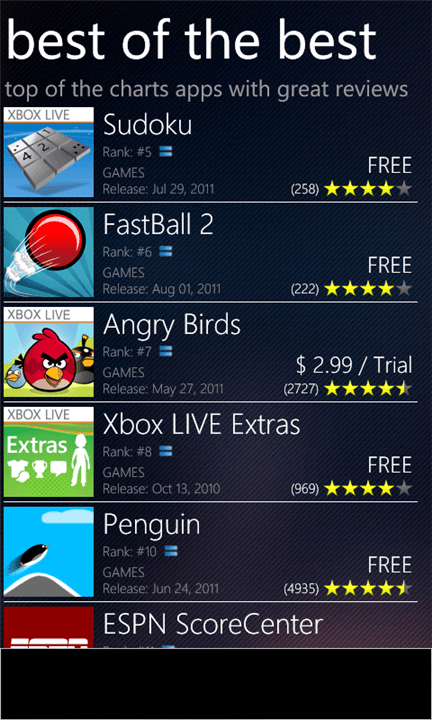 This post will reveal few of the top apps for finding the great apps for your windows 7 smart phone. App Flow is the most popular apps and the biggest selling points which make it so popular are its polished interface and human curated lists. These lists showcase the apps in the various categories like ‘New & Impressive’, ‘Love or Hate’, ‘Forgotten Legends’ and ‘David V/S Goliath’ (original and their unofficial copycats). The good thing here is that whoever assembles the information on any of these categories, injects it quickly to ensure that masses get the worthy information before the massive download. 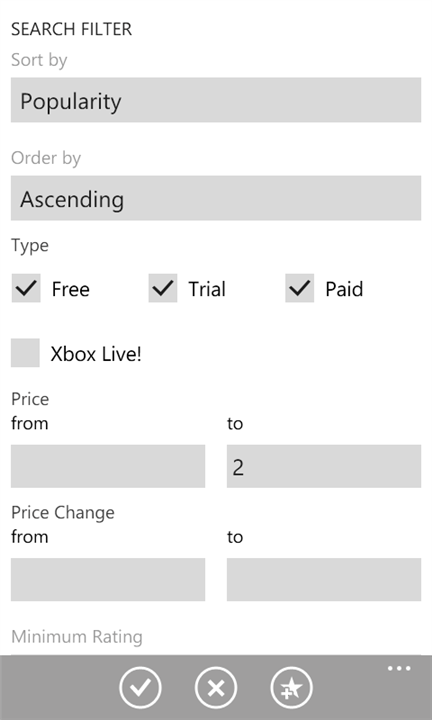 The App Flow also offers the machine generated list for the ones who looks for the top bargain and often look for the free apps. Other stuffs that are fascinating enough to attract you are: the entire windows phone app catalog, eye candy chart and tables which display the rating by rank, date and history which help the candidate to decide the worthiness of the application before download. You can download the App Flow from here. 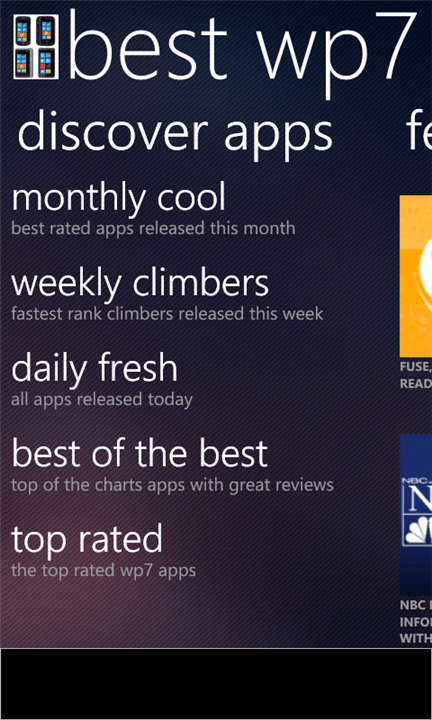 In the row of picking up the best out of the rest is slightly a challenging task, but lastly the choice ended at the Best WP7 Apps which is although a newcomer but has great potential to show. 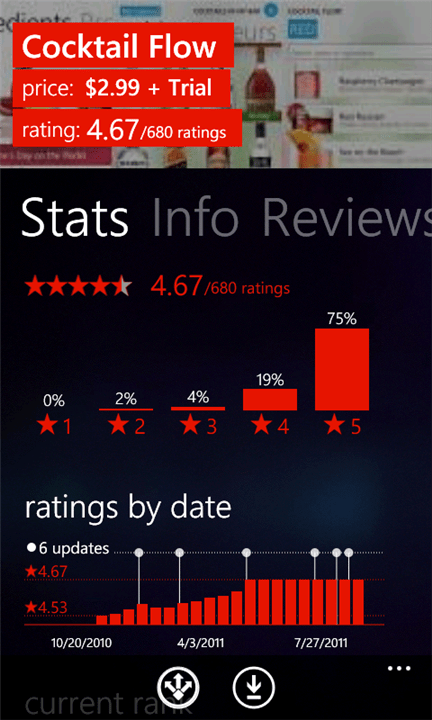 Just like other apps, the Best WP7 Apps offers you great fun through data-driven list like ‘Monthly Cool’ and ‘Best of the Best’. Another nice and interesting feature that you will find in this app is the feed for app news and reviews, although some of the entries in the reviews were a little outdated one. 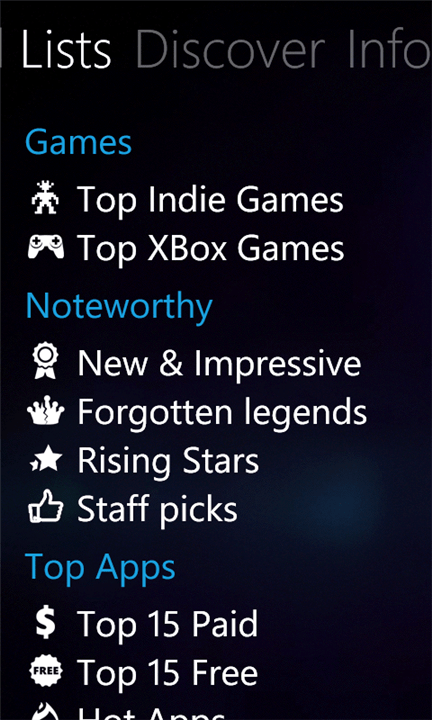 But still Best WP7 Apps is a quite useful and worthy application. You can download this application from here. 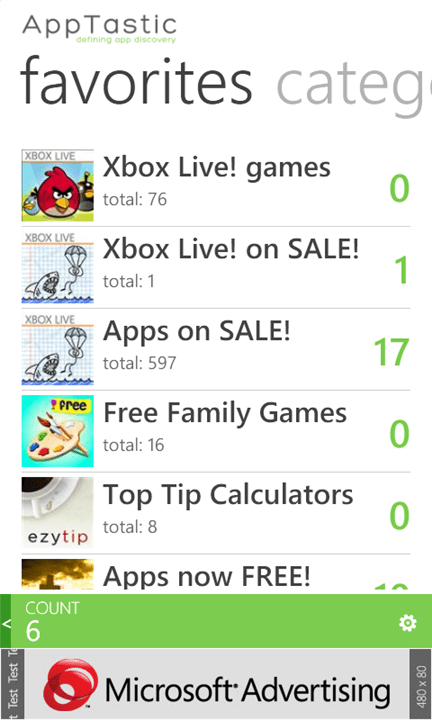 Another popular and must download apps for search apps is the AppTastic. What makes this free app different from other is the ability to customize the search options. This app gives you alert on cool apps that will hits the market soon. Through this app you can search various apps using various keywords, category and subcategory, rating and price. Other stuff that will fascinate you will be the visual flags that will clearly indicated you the new arrivals in your search results. You can download this amazing app from this link. I Read your article, it’s very interesting. You have given the great information. Thanks for the information dude. I am glad that you find my article valuable. Keep reading this blog !